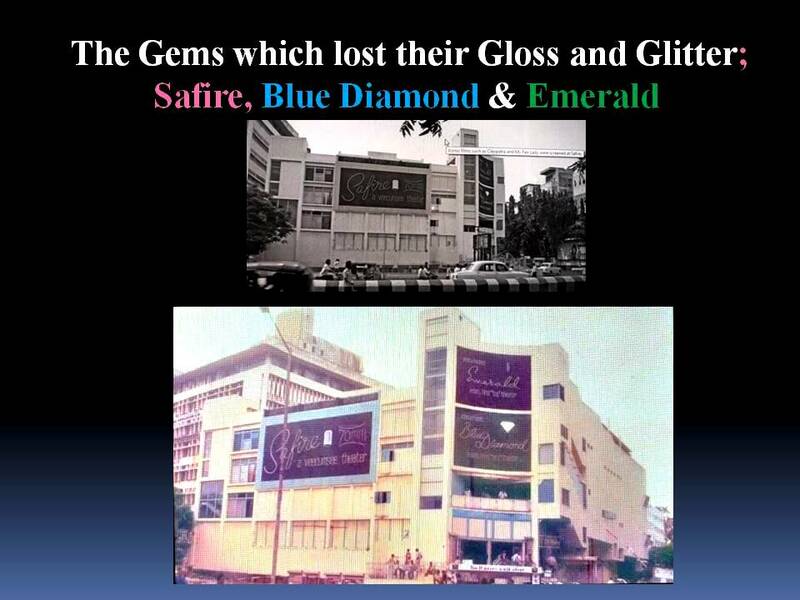 Among the old theatres in Chennai which have disappreared now, I fondly remember only the Safire Complex. Considered to be the first multiplex in India with one big screen and two smaller screens Blue Diamond and Emerald, the theatre complex opened to the public in 1964. The total area of the complex was 40,365 sq.ft. The first screening on the wide screen was ‘Cleopatra’ starring Richard Burton, Rex Harrison and Elizabeth Taylor. Other popular English movies like ‘Sound of Music’, ‘My Fair Lady’, ‘Lawrence of Arabia’ and all screened and enjoyed great patronage of the public. Watching movie in Safire was an experience in the hall of nearly 1000 seats capacity and the wide large curved scene and the special Todd-Ao sound system used to give the impression of being amidst the action on the screen. 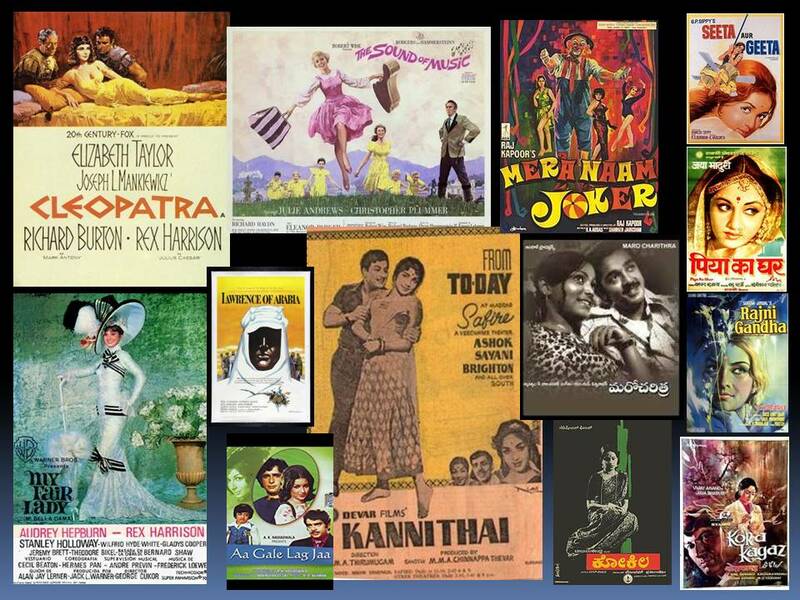 One among the first 70mm screens in India, the theater had several credits like having the ‘Navaratna’ restaurant, special private boxes, vestibule elevators, a balcony overlooking the busy Mount Road to name a few. Later, Safire screened Hindi and Tamizh movies too. MGR-Jaylalithaa starrer ‘Kanni Thai’ and later Shashi Kapoor- Sharmila Tagore ‘Aa Gale Lag Ja’ are in my memory. I watched Raj Kapoor’s ‘Mera Naam Joker’ (1970) which was released in Safire. I have gone to many movies as noon shows while in college at Safire, as they exhibit Tamizh movies also for reduced rates. Kamalhassan’s ‘Maro Charitra’ (Telugu, 1978) and ‘Kokila’ (Kannada, 1977) were screened here as noon shows. ‘Maro Charitra’ enjoyed a run for one year there. Emerald, smaller one in the third level, screened many Hindi movies of those period. I remember watching ‘Seeta Aur Geeta’, ‘Piya ka Ghar’, ‘Rajinigandha’, ‘Kora Kagaz’ to recall a few. There used to be four shows in this small hall per day. Blue Diamond after screening old English movies initially shifted to continuous shows from morning 9 o’clock or so; a person who buys a ticket can keep sitting till the theater closes by the midnight. However, after sometime, there were not many takers for the theatre complex. As the patronage started dwindling and due to poor maintenance the theatre complex started showing signs of decaying. The Veecumsees closed down the complex for a long period and finally disposed it by 1994. The massive theater complex, once remained as the landmark of Chennai was demolished to the ground in 2003. Surprisingly, still the place remains vacant. Anyone misses Safire complex or not I personally miss it.